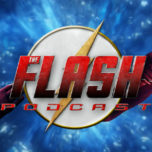 On this week’s The Flash Podcast, Andy and Lauren get together to review 2.17 of The Flash titled “Flash Back” that features Barry Allen going back in time to learn how to get faster from Eobard Thawne so he can stop Zoom once and for all! In the news session, the gang discusses that Jason Mewes will be guest starring in Kevin Smith’s directed The Flash episode. The duo also read listener feedback and e-mails about “Flash Back” before wrapping up for this week. That and more on the latest episode of The Flash Podcast! 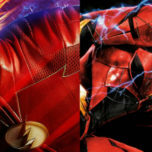 The Flash will be back on Tuesday, April 19th at 8/7c on The CW. Also, don’t forget to check out our crossover with Supergirl Radio as we chat about the epic crossover between Supergirl and The Flash. Co-Host and West Coast Correspondent/Contributor at The Flash Podcast; Host of Peggy Carter Podcast and Contributor at EW Community.